Create parts, assemblies and drawings. Open, repair and edit any CAD file. Discovery SpaceClaim’s Direct Modeling technology is faster, easier and more flexible than any other 3D modeling tool. Use intuitive and powerful tools to autosurface simple or complex mesh data, build intricate parts or recreate fixtures quickly and efficiently. Simplify models in minutes instead of hours. 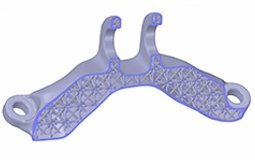 Quickly modify, optimize and parameterize any CAD file to reduce mesh complexity and reduce simulation solve time. 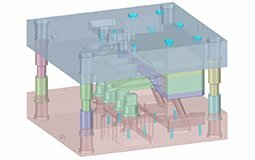 SpaceClaim removes a common geometry bottleneck by putting the power of easy and fast geometry creation into the hands of any designer, engineer, manufacturer or analyst. This new modeling paradigm will free you from the constraints of history-based concept modeling, allowing you to focus on the creative process and not on the technology. 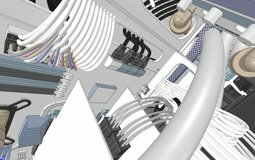 With an expanded use of 3D in the early modeling phase as well as throughout the entire product design and development workflow, you can increase your innovative ideas while also increasing productivity. 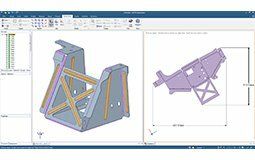 With SpaceClaim you can create new concept models quickly and easily, and further share them with your customers, R&D engineers, CAE analysts, manufacturing and others on a CAD team. And with it's universal nature, it's easy to Work with any imported geometry, no matter where it came from - suppliers, in-house library, online resources - and merge them together in one environment. 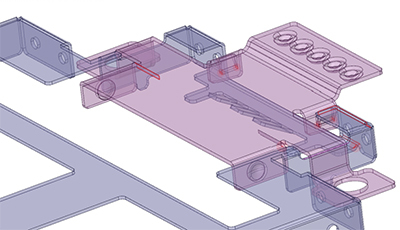 SpaceClaim’s intuitive interface allows you to create, edit, optimize, and prepare models for 3D printing and reverse engineering faster and more efficiently than before. With this module you have automated capabilities to inquire of problem areas in STL files, such as holes, interfering facts, and spikes. 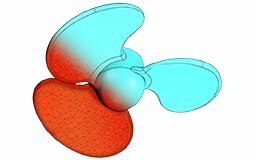 Using automated repair tools or manual techniques, watertight or clean STL files are easy to achieve. You can also perform complex boolean operations with ease, making it simple to combine details of several data sets into one. 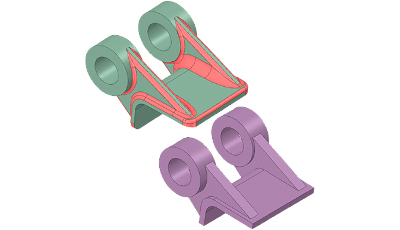 For 3D printing optimization tools, you can shell any STL body in seconds and select one of several infill types to improve strength while reducing weight. Several impressive smoothing algorithms rapidly turn dirty scanned data into clean, watertight STL bodies ready for printing. In SpaceClaim you’ll notice the similarity of solid and STL editing tools, with no difference between the power and ease of use in each. In addition, these same STL cleanup tools will enhance the reverse engineering workflows by streamlining the STL to CAD conversion process. Many CAD tools output corrupt 3D data and are in desparate need of repair. 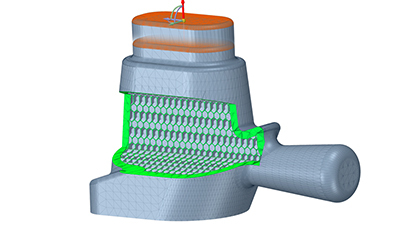 Whether importing models for a new design, generating toolpaths on a solid body, or needing a high quality mesh for simulation, the input requirement of clean geometry is still the same. SpaceClaim's automated repair tools are designed to target problem areas of any model and provide instant options for healing and repair. Whether a model is full of holes, gaps or corrupt surfaces, these tools quickly recreate models to their intended state. Spellcheck-like tools provide feedback on location and possible remedies, but you always have the option of accepting automated repairs or providing further control of surface contours or repair types. The end result is clean surfaces and watertight solids. With only 4 tools that perform 80% of the common modeling tasks, you’ll find SpaceClaim the easiest CAD tool you’ll ever learn. Designed to be a tool that anyone could begin using with minimal training, you'll be amazed how easy it is to create or modify any 3D file just as rapidly as your mind can conceive a change. As your mind conceives a 3D solid, or you need to stretch and distort a model, the Pull tool suites these tasks. 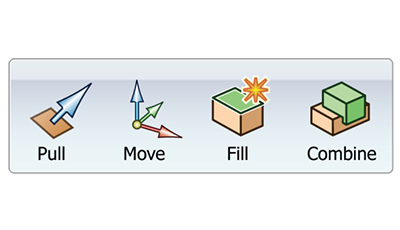 The Move tool does exactly as it implies; moves or rotates geometry to the location of your choosing. For undoing operations or simplifying models, the Fill tool was designed to defeature models in seconds. And finally, with finesse the combine tool will either boolean subtract or merge bodies, regardless of complexity of quantity of bodies involved. 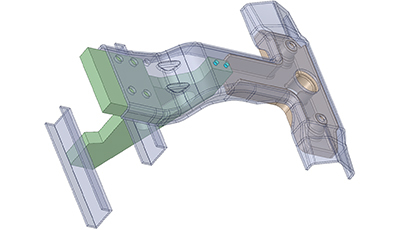 SpaceClaim's simple and powerful tools defeature both parts and assemblies prior to meshing and solving, and in a fraction of the time of traditional CAD tools. Geometric problems such as small sliver faces, gaps, raised text, and unnecessary small features that once prevented an acceptable mesh or drastically increased solve time are now remedied in seconds. Remove stubborn, intricate rounds, including those that overlap or have complex intersections. Automatically detect and remove small holes, faces, edges and other irrelevant geometry. Because SpaceClaim is built on direct modeling technology, you can defeature and edit your file without regard for rebuild errors or needing to understand how a file was initially constructed. The geometry centric nature of SpaceClaim means that the same powerful tools are used across different use cases, regardless of complexity or scope of modeling task. 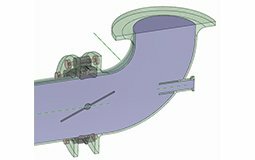 For example, you might use the Pull tool to create a fixture for manufacturing, but it is versatile and powerful enough to aid in the repair of geometry by extending surface bodies. 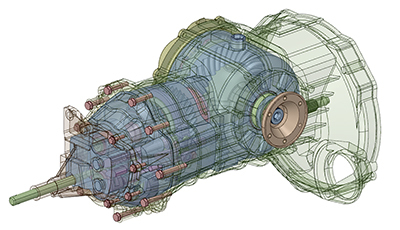 Regardless of the modeling task or your formal training, SpaceClaim's unique toolset enables you to create rough concepts, detailed designs, or edit 3D data created in any other CAD system. In addition, things like common PC shortcuts such as copying, cutting, and pasting also provide you with an extremely efficient method of data reuse, as well as easy and familiar workflows.